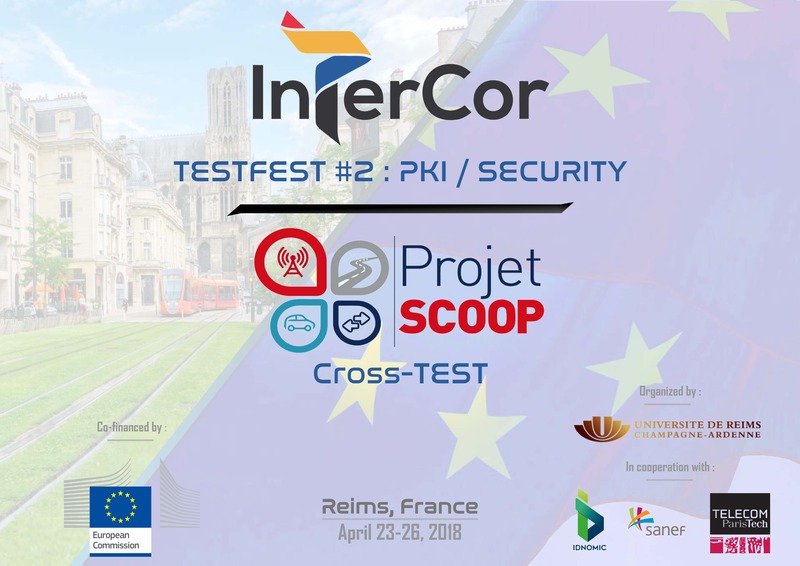 In the European project InterCor – involving France, Netherlands, UK and Belgium – existing Cooperative Intelligent Transport Systems (C-ITS) are being upgraded and tested for their interoperability along with new services. To ensure interoperability, a common set of specifications geared towards seamless cross-border service continuity are being developed and validated. The validation is carried out during four TESTFESTs where the interoperability of in-vehicle end-user devices and road-side ITS stations from the different EU Member States is tested. The first TESTFEST, focusing on ITS-G5 services (Wi-Fi-p), was held in Netherlands in July 2017 (see here for more info). The InterCor TESTFESTs are open to anyone active in this field. Interested public and private organisations (public authorities, road operators, systems suppliers, services providers, vehicle manufacturers, etc.) are invited to register and to take part in this first TESTFEST. i.e. by bringing on-board units (suitable for the services) and vehicles to test the interoperability with the InterCor RSUs in France. InterCor is a 3 year project of 30 million Euros co-financed by the European Union under the Connecting Europe Facility (CEF) Programme; it will enable vehicles and the related road infrastructure to communicate data through cellular, ITS-G5 or a combination of cellular and ITS-G5 (hybrid) networks on road corridors through The Netherlands, Belgium, UK and France to achieve safer, more efficient and more convenient mobility for people and goods. 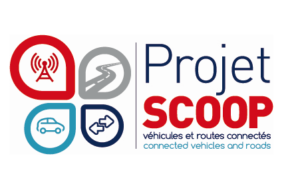 SCOOP@F is a 3 year project of 20 million Euros co-financed by the European Union under the Connecting Europe Facility (CEF) Programme. It is a Cooperative ITS pilot deployment project that intends to connect approximately 3000 vehicles with 2000 kilometres of roads. It consists of 5 specific sites with different types of roads: Ile de France, “East Corridor” between Paris and Strasbourg, Brittany, Bordeaux and Isère. SCOOP@F is composed of SCOOP@F Part 1 from 2014 to 2015 and SCOOP@F Part 2 from 2016 to 2018. Its main objective is to improve the safety of road transport and of road operating staff during road works or maintenance. SCOOP@F Part 2 includes the validations of C-ITS services in open roads, cross border tests with other EU Member States (Spain, Portugal and Austria) and the development of a hybrid communication solution (3G-4G/ITS G5). The C-Roads Platform is co-financed by the European Union under the Connecting Europe Facility (CEF) Programme, but is an open platform. Therefore representatives from all ongoing C-ITS deployment activities all across Europe are working together towards interoperable C-ITS services for European travellers. ETSI produces globally-applicable standards for Information and Communications Technologies (ICT), including fixed, mobile, radio, aeronautical, broadcast and internet technologies and is officially recognised by the European Union as a European Standards Organisation. ETSI is an independent, not-for-profit association whose more than 800 member companies and organisations, drawn from 66 countries across five continents worldwide, determine its work programme and participate directly in its work.